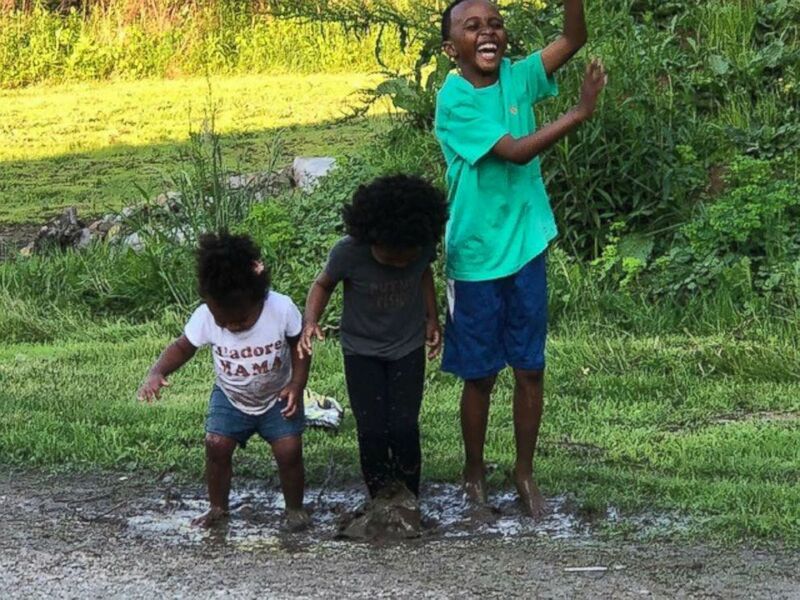 An Ohio family is sharing their story after they adopted four siblings -- adding to six children of their own. Michelle and Don Beauchene each have children from former relationships. The couple married and instantly became a family of eight. They talked about adoption, but nothing came of it. But when Michelle Beauchene began working at a small Christian preschool, she met young Lilliana (Lily), whom she and her husband fell in love with and adopted. "I [knew] we could give her such a good home and we could give her such a good life and she was so connected to us," Michelle Beachene told "Good Morning America." 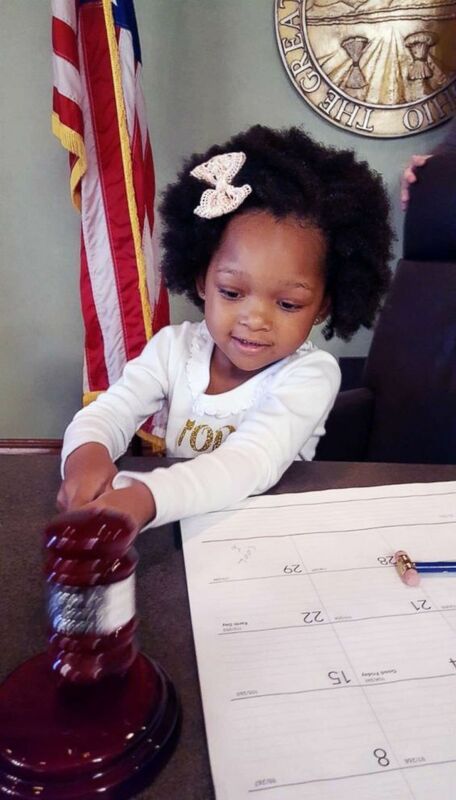 Lily's sister Lucy entered the family after the Beauchenes received a phone call from the adoption agency that handled Lily's adoption. Michelle and Donnie Beauchene adopted four siblings. Do You Know Someone Who Deserves the 'GMA' Spotlight? Tell T.J.! Submit a photo or video telling us why your someone is so spectacular here. "They said, 'Would you guys be interested in considering maybe fostering or possibly adopting a second one?'" Don Beauchene recalled to "GMA." The couple learned that Lily's biological mother was about to have another baby that would end up in foster care. 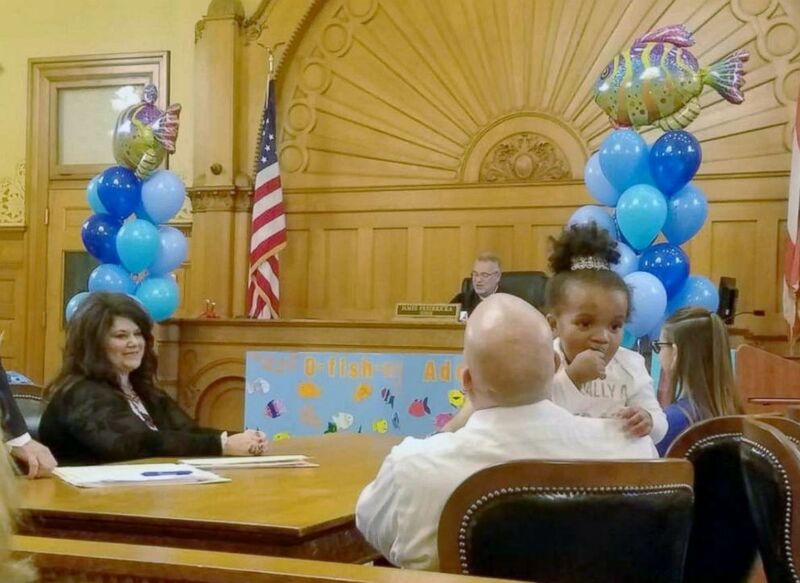 They had to make a split-second, life-changing decision to adopt not just one, but two kids. "We're, like, 'What are we gonna do? What are we gonna do?' And I said, 'You can't take back a no. But if the yes doesn't work, there's other options. So let's say yes,'" Michelle Beauchene said. On adoption day, the ever-expanding Beachene family prepared to become a family of 12. The Beauchenes, who became empty-nesters since their adult children had already moved out, suddenly became parents of two children, Lily and Lucy, who were under 3 years old. And just as they were getting settled into their new life with an expanded family, the Beauchenes were watching a story on the local news about a little girl named Jamie who was in need of a liver transplant. "I looked at Don, and I said, 'She looks so much like Lilliana, it's so weird,'" Michelle Beauchene said. "The next day, Lily came from school and she said, 'My sister was on TV.'" Michelle and Donnie Beauchene adopted Lily, Lucy, Jeremiah and Jamie, who picked their own, new legal names of London and Brooklyn. She went on, "I said, 'Your sister was on TV?' She said, 'Yeah, she was on TV.' And I said, 'Oh, my goodness, that is her sister.'" 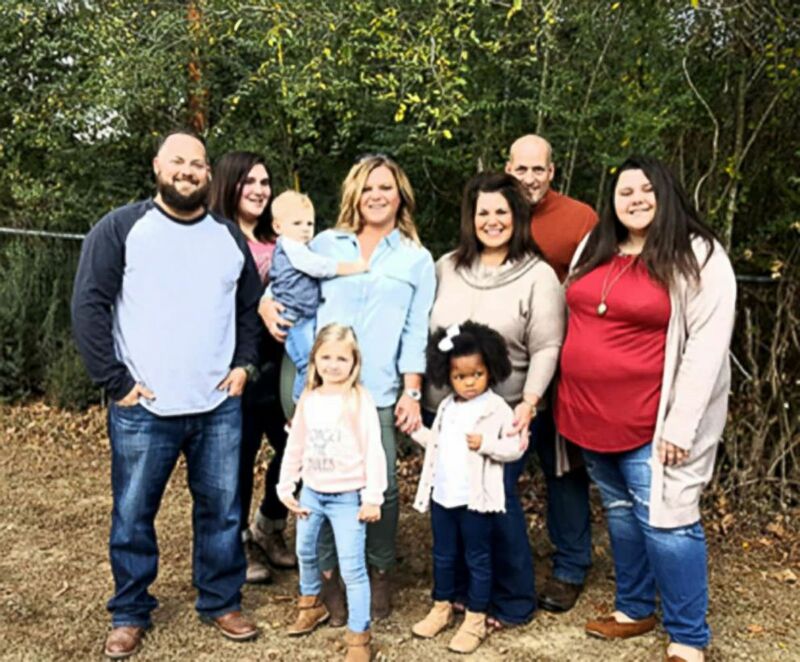 Unbeknownst to Michelle and Don Beauchene, Lily and Lucy, the children they just adopted, had two older siblings, Jaime and Jeremiah, who'd been living with foster families. Jamie had received a living donor liver transplant at UPMC Children’s Hospital of Pittsburgh. When Michelle Beauchene began working at a preschool, she met young Lilliana (Lily), whom she and her husband fell in love with and adopted. Jamie was in foster care since birth and was born with biliary atresia--a rare disease that leads to liver failure, UPMC told "GMA." Jamie needed a liver transplant and in 2015, her case manager set up a Facebook campaign titled, "A Liver for Jamie." Nearly 500 people called and offered to be tested as a potential donor. Ultimately, 32-year-old veterinary technician was a match and saved Jamie’s life with the transplant. The adoption agency approached Michelle and Don Beauchene about taking in the additional kids in order to unite all four siblings. 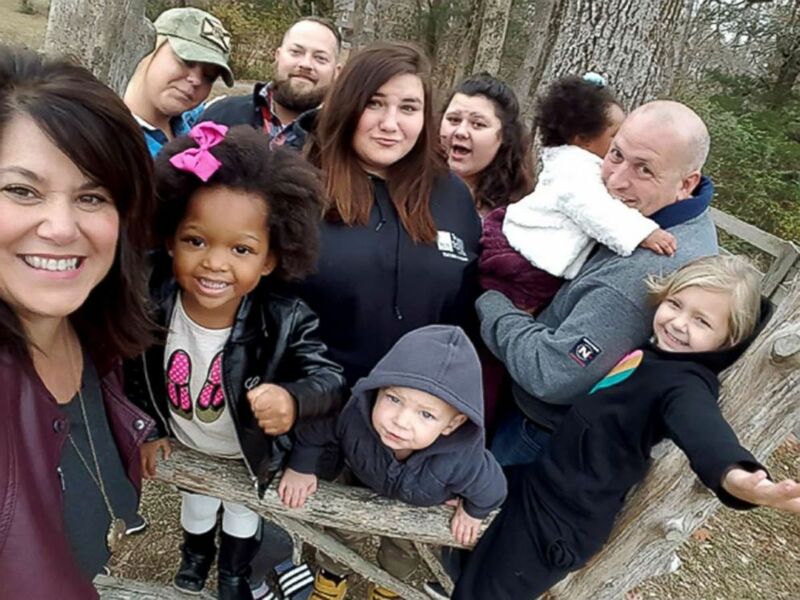 On adoption day, the ever-expanding family prepared to become a family of 12. Wearing superhero outfits, Jeremiah and Jamie, who picked their own, new legal names of London and Brooklyn, finally gained a forever family with their biological siblings. "These kids didn't make a choice in here," Don Beauchene said. "They just are collateral damage. Somebody's gotta be their voice." Michelle Beauchene said, "God definitely put this in our paths." Today on "GMA," an announcement was made that Hyundai Motor America was making the Beauchenes the first family in America to get Hyundai's all-new 8-passenger SUV, which will be unveiled at the LA Auto Show later this month. IKEA also helped with a $10,000 gift card for IKEA products and services to help the Beachchenes create their dream home with a place for everyone. The Beauchenes children now include Dan, Dustin, Hilary, Regan, Brittany, Maddie, Lily, Lucy, London and Brooklyn.